Don’t know what to spend that extra cash on? Don’t worry, there is still time. Our stores are open at convenient times and located just around the corner here in Yester Sweden. 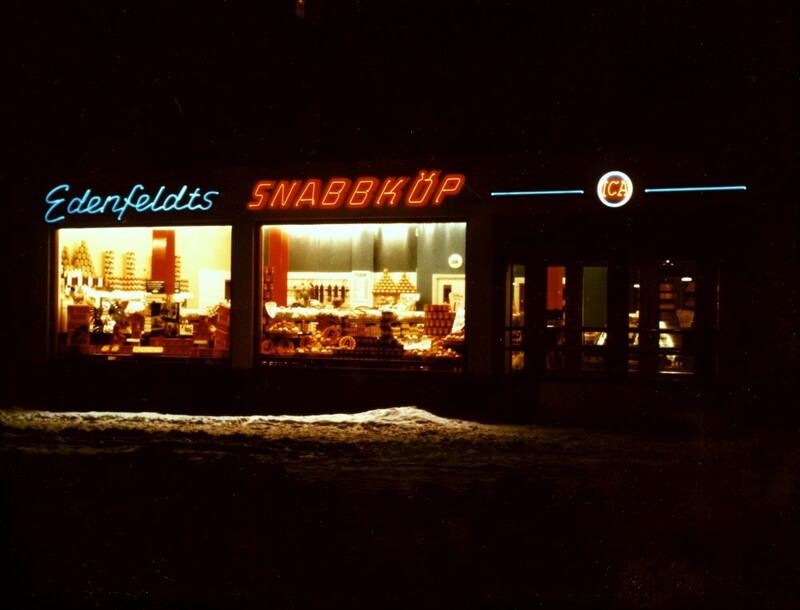 Today we are traveling back in time to visit Stockholm and Hudiksvall (north of Stockholm) where you can slowly waltz through the many isles of exotic groceries, the latest fashion, brand new color TV models and still have some time left over for a coffee and cupcake at one of the many cafes. Typical anchor stores of the time were ICA, Domus and Tempo – sadly only the first one is still alive.